The 'Chilling Effect' of Forced Reassignments at Trump's Interior Dept. The federal government’s whistleblower protection office is investigating the claims of retaliation against perhaps the civil service’s most famous whistleblower in the Trump administration, and he has new backing from a group of legal scholars. Joel Clement made a name for himself by writing an op-ed in The Washington Post claiming the Interior Department reassigned him to a job for which he was ill suited after he spoke out on the potential dangers of climate change for Native Alaskans. He filed a complaint on the alleged reprisal to the Office of Special Counsel, which handles cases involving potential whistleblower retaliation, and has since told Government Executive that OSC has opened an investigation. On Friday, 13 law school professors with varying experience in federal service and with groups advocating good government submitted a letter to OSC advocating for Clement’s case as a whistleblower. The law professors, who sent their letter via the Georgetown Law Center’s Institute for Constitutional Advocacy and Protection, based their argument on the premise that the Senior Executive Service must be protected from undue political influence, including from unjustified reassignments. Interior has reassigned about 50 of its senior executives, about one-fifth of those it employs. 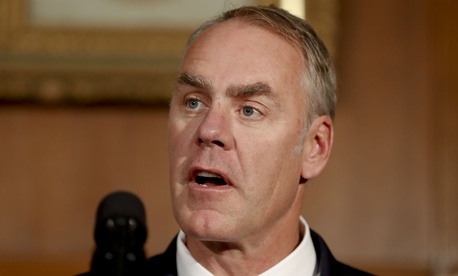 The department has claimed the transfers were designed to “better serve the taxpayer and the department’s operations.” Clement served as the director of the Office of Policy Analysis at Interior before moving to his new job as a senior adviser in the Office of Natural Resources Revenue. The alleged retaliation has prompted bipartisan concern, including a request from a top Democrat asking Interior’s inspector general to launch an investigation of its own. Those reassignments cannot be politically motivated, however, the legal scholars said. Moving Clement to a position for which he is unqualified and in which he has little in the way of actual responsibility, the scholars wrote, undermines the essence of an apolitical civil service. “The reassignment of over one-fifth of all Senior Executives within an agency is more akin to the spoils system that our country abandoned over a century ago than the type of efficiency-inspired mobility that the [1978 Civil Service Reform Act] contemplates,” they said. The added that Clement’s case presents an “important opportunity for the OSC to ensure respect for the reassignment of members of the SES,” and encouraged the agency to reinstate him if its investigation substantiates his claims. For his part, Clement took some time off after publishing his op-ed but said he has received “a lot of support” from fellow career employees throughout the department upon his return to work. As for Interior’s political appointees, he said he heard “not a peep” in his first days back. The department flew Clement to Denver to train him for his new job with the Office of Natural Resources Revenue.